Welcome to Fernandez Honda Genuine Part Center in San Antonio TX. We’re here to help you find the Honda parts you are looking for. Genuine Parts. For Those Who Want To Do It Themselves. For those who love DIY when it comes to cars, then we have genuine Honda parts that are made specifically for your vehicle. We have you covered. So whether you are replacing your brake pads or totally rebuilding the engine on your vehicle, we have the parts for you. We can provide you with the parts and advice that you will need to make the repair yourself with no problems. Come in today to get started upgrading your vehicle today! The parts department at Fernandez Honda has a large inventory of factory parts in stock to always accommodate you and your vehicle. We take pride in the fact that we’re always able to offer our customers the exact part they need to keep their vehicle running smoothly. Using original factory parts is the best way to ensure you are getting what your car needs. 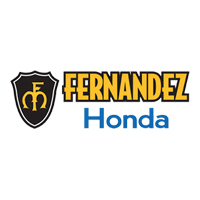 The Fernandez Honda car parts department is filled with a knowledgeable staff who are here to help you determine the exact and proper part that your vehicle needs. Providing you with the part you need at a quality price is what we specialize in. And for any part that may need to be special ordered, we can assure you that it will be delivered in a timely manner. Be sure to also take advantage of the the Ask A Tech feature, allowing you to communicate directly with one of our service professionals to best answer your questions. Let Fernandez Honda parts department get you what you require today!